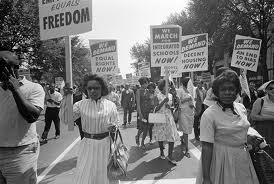 On November 13, 1956, Supreme Court affirmed a ruling that found segregated bus laws unconstitutional. The Montgomery Bus Boycott, when African Americans would not ride buses in Montgomery, Alabama because of segregated seating. People protested from Dec. 5, 1955 to Dec. 20, 1956. Four days before the boycott began Rosa Parks refused to let a white man take her seat on the bus. 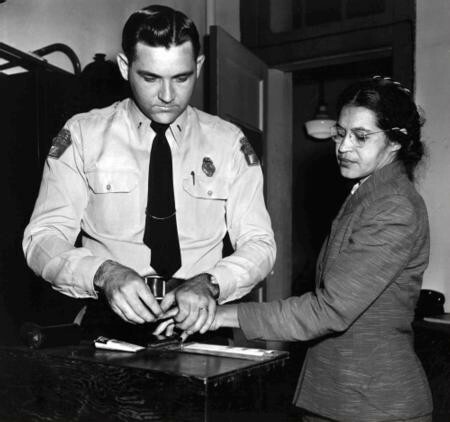 Rosa Parks was arrested and fined, the boycott started on the day of her trial and lasted 381 days. 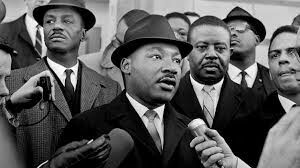 Martin Luther King Jr. a young pastor became a prominent civil right leader (1929-68). Martin Luther King Jr. giving a speech.